SSangYong Korando by Ratola Corporation - exclusive SSangYong distributor for Bulgaria. New platform, new design, new engines – our "Gangnam style" new Korando brings an entirely fresh approach to the crossover market. Introducing a number of significant firsts for the South Korean SUV specialist Ssang Yong, the fourth generation of Korando takes on a trendy dynamic urban chic. Merging the low running costs and high performance of a classy family hatchback with the visual appeal, adventurous spirit and rough-roadability of an SUV, Korando is perfectly in-tune with the needs of the modern people. The elegant, perfectly proportioned SUV has been styled in Italy by Giorgetto Giugiaro, who is recognized as the best automotive designer in the world today. Korando's overall character line is conceived to express its powerful and reliable AWD performance. The strong, charismatic front end of Korando with determined angular headlamps, sporty six-point mesh radiator grille, bold air intakes and chrome trim is complemented by a dynamic profile with substantial wheelarches. Rear view with dual tail pipe and a two-toned finish depicts the dynamic image of a sprinter on the mark. A defined line runs from the front headlamp to the rear lamp cluster, following the contours of the body and emphasizing Korando’s athletic shape. Korando's exterior design is perfected by aggressive graphic elements exalting the concept of elegance in power. Korando’s interior reflects the Oriental ethos of moderation and subtlety. The dashboard, inspired by the outstretched wings of a dancing crane, is amazingly elegant and the instrument panel, with two large dials separated by a digital display, is simple and intelligible. With Korando’s interior, designers have succeeded in maximizing space, comfort and practicality in a high quality, driver-centric cabin. Designed and developed to deliver environmentally conscious efficiency, Korando offers high fuel economy and low CO2 emissions. Add the proven strength and safety that comes from the DNA of an SUV specialist, the comfort and refinement of a premium brand, which is Ssang Yong, and you have all the features that make Korando the best in its class. Korando is the leading SUV brand in South Korea that has represented dream and passion more than 40 years. It even holds the title of "Korea’s longest-surviving brand" in the Guinness Book of World Records. The legend of Korando started in 1974 with its first generation developed through a technical cooperation with AMC (American Motor Company). In 1983 the second generation of Korando opened a new chapter in the history of the Korean SUVs. Based on the accumulated knowledge and experience of importing and producing Jeep models, Ssang Yong Motor Company introduced various versions of the vehicle. In 1996, Mercedes Benz’s diesel engine technology was adopted and Korando went through a full model change into its third generation. 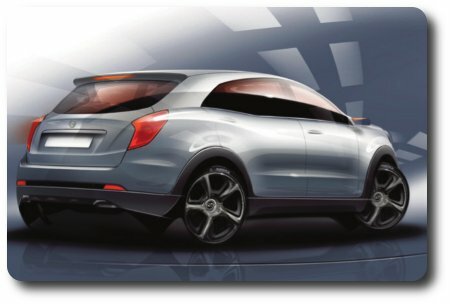 Now Korando is looking to be recognized as a world premium class SUV. 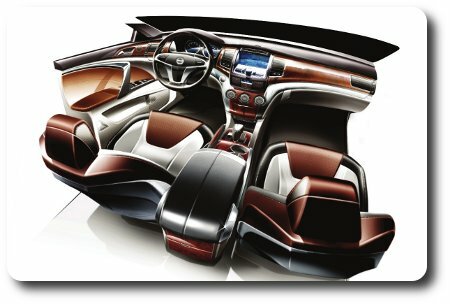 The fourth generation of the Korean SUV icon comes with a new platform, new body and a smart selection of new engines.